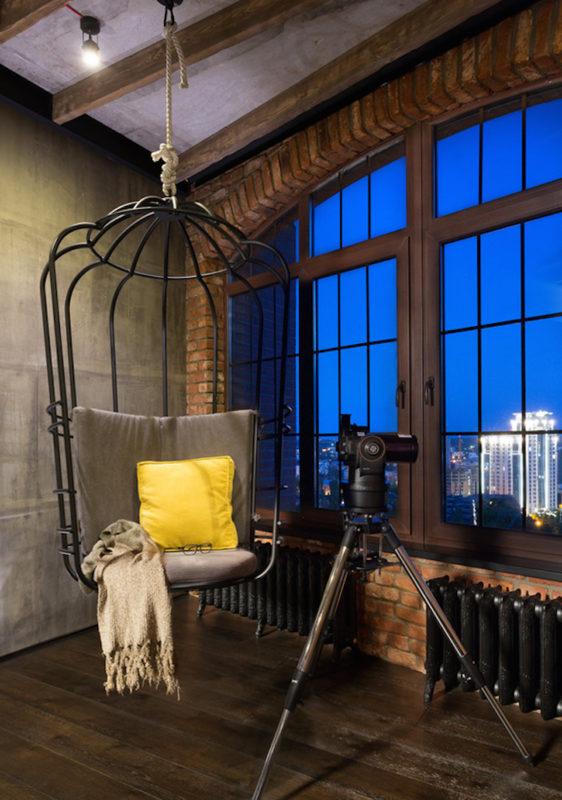 Hanging chairs are now seen everywhere from high end lofts to kids rooms but I’ve never considered having one in my own space, until now…. My husband recently asked me one of my favorite questions. Here’s how our conversation went..
Eric: “Is there anything you would like for the house?” I think he was hoping I would say something easy like a bench or throw pillow that he could give me as a holiday gift. 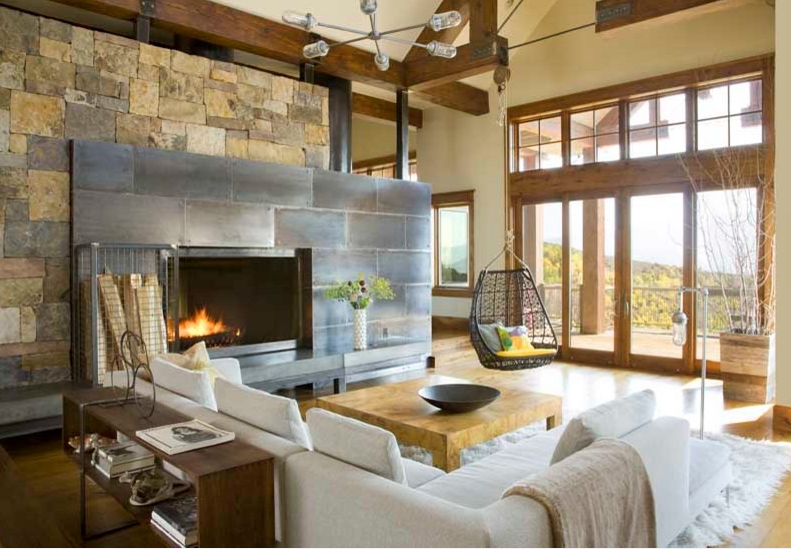 The only problem is, I had all night to create the perfect chair in my mind – A tall, wingback, nailhead, tufted, comfortable, well made chair in either pewter or a cool off-white tone. Oh, and under $400, preferably less. Not too much to ask for, right? After looking at hundreds, maybe thousands, of chairs for the one I envisioned in my head, I was getting frustrated. I decided it was time to move on and I could either start designing and building furniture myself (hah!) or go in a different direction….. 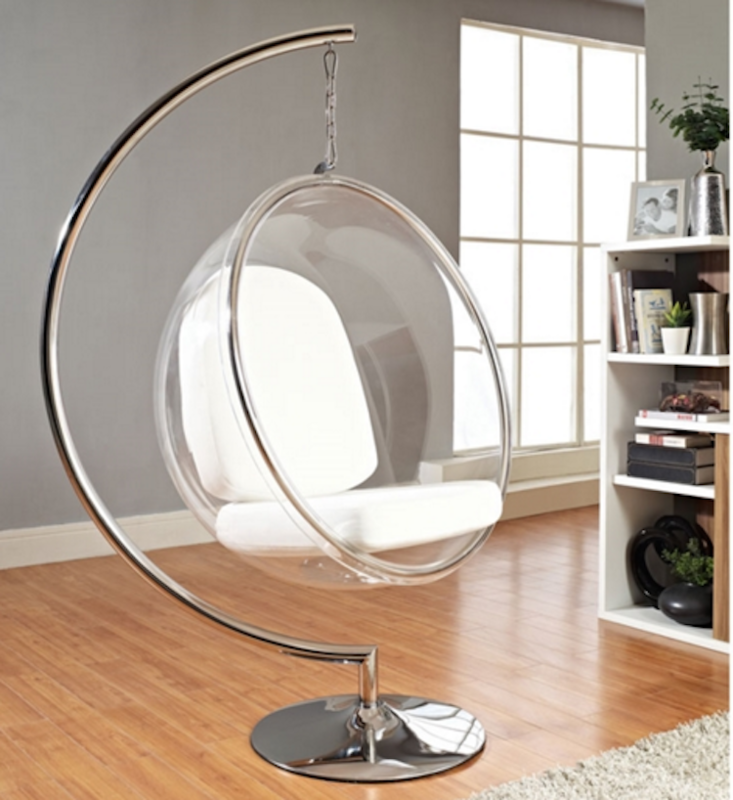 So I’m considering a hanging chair! I know, much different from the chair I described above but remember my initial response of what I wanted? Something comfortable and with character. This fits the bill! Usually seen in lofts, beach houses or kids rooms, I love the unique style and playful element they bring to any living space. 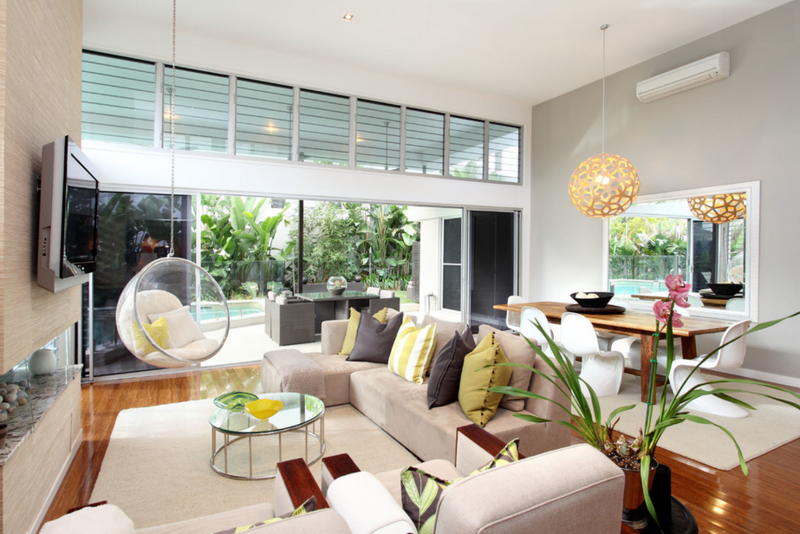 These hanging chairs are also referred to as egg chairs, bubble chairs, or hammock chairs. And I love bringing the outdoors in- especially this time of year when it gets colder and we’ll be spending more time inside. Since we are in a rental, we don’t have the option to hang it from the ceiling so we would have to go with a stand. This one is a modern, clean look at a moderate price. 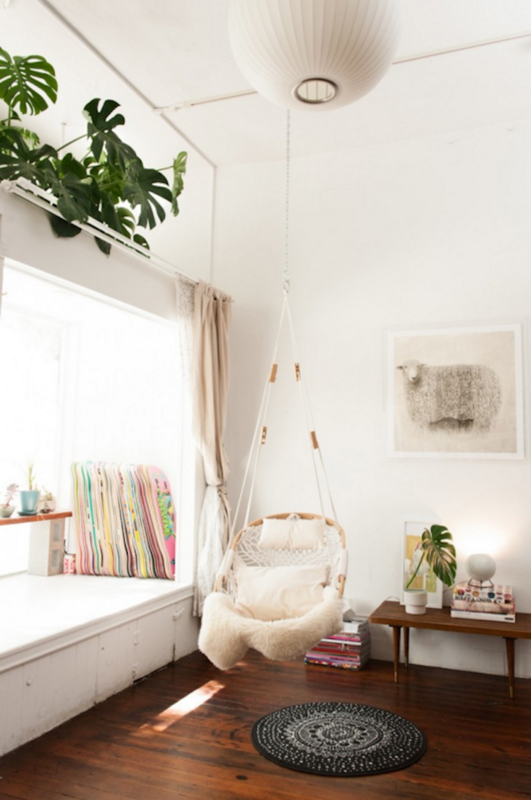 Stands are also a great alternative if you are unsure if the ceiling can support a swing structurally. There are so many different styles – but I am still on the hunt to find one with a clean look and cozy feel to complement our existing decor. Unless my tall, wingback, nailhead, tufted, comfortable, well made chair in either pewter or a cool off-white tone under budget magically pops up first of course! Has anyone else been swayed? 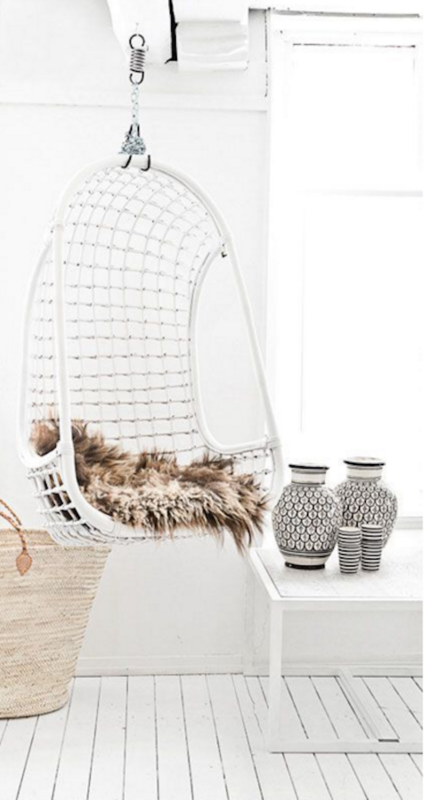 Hanging chairs seem like a piece of functional art to me. They are both super cosy and stylish! Love, love, love this idea! Great post! Thanks Alyssa! Glad to hear! I absolutely love these chairs, Samantha! So happy I came across your blog – it is great and I will be visiting often!